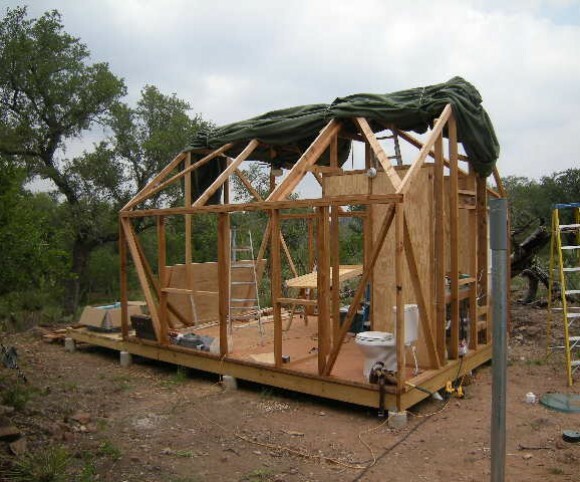 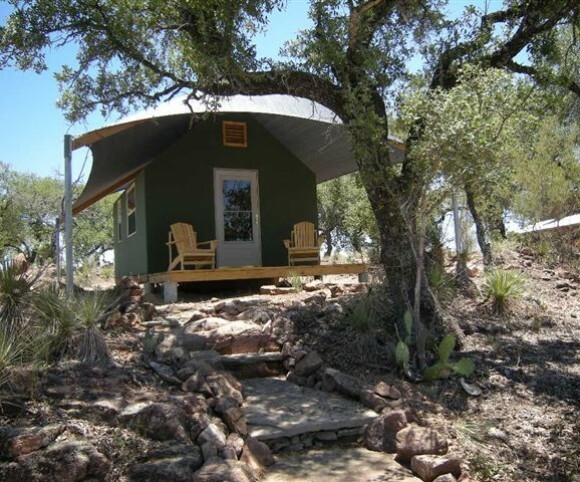 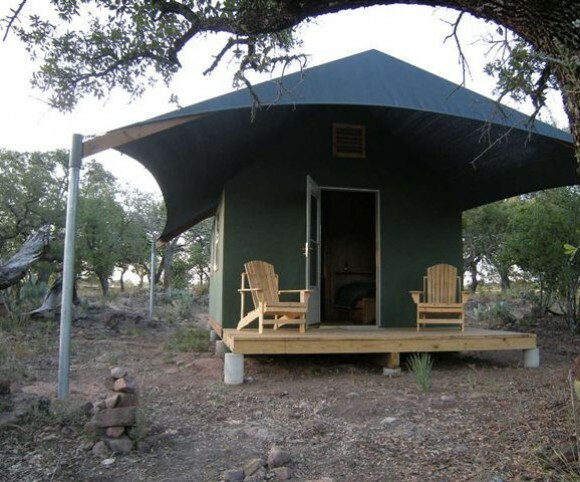 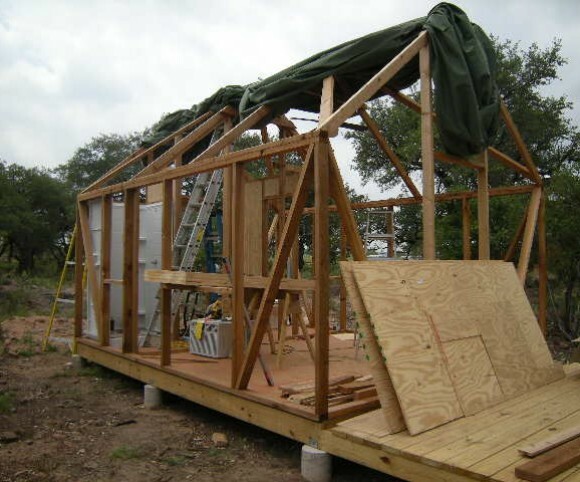 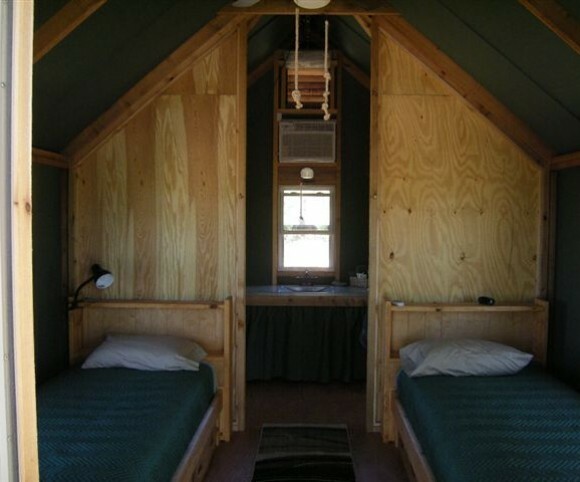 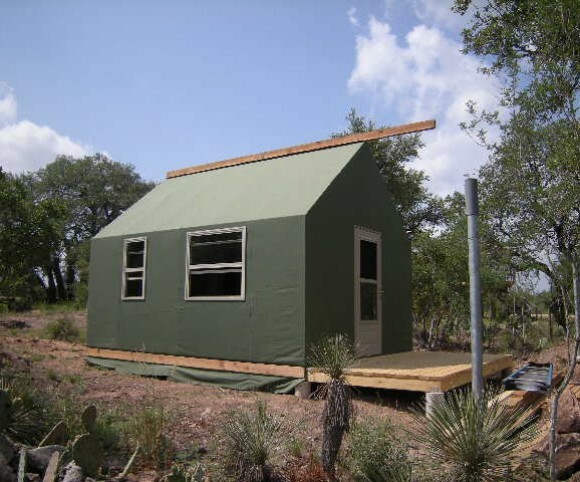 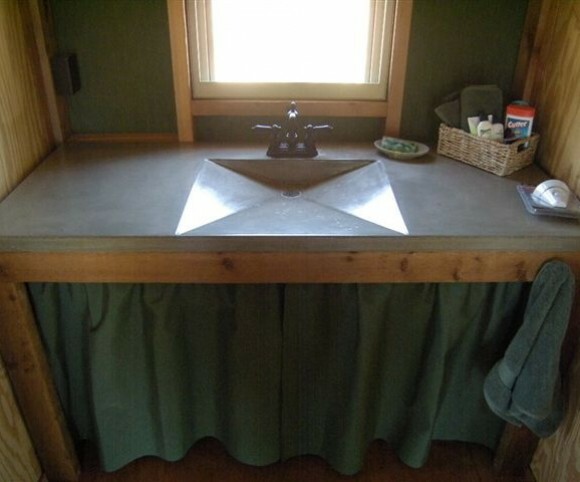 TENT is a modular structure built in the flood plain of the Llano River, northwest of Austin, TX. 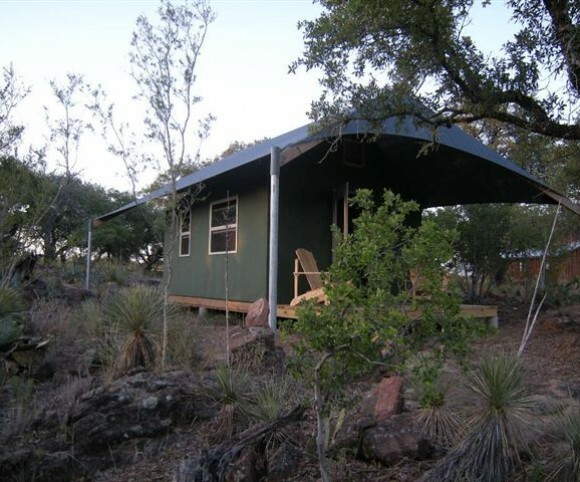 The property owner desired a camping site along the river, but no permanent structures could be built. 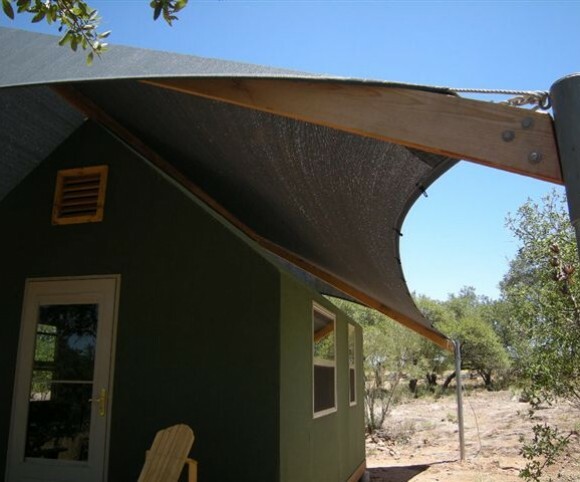 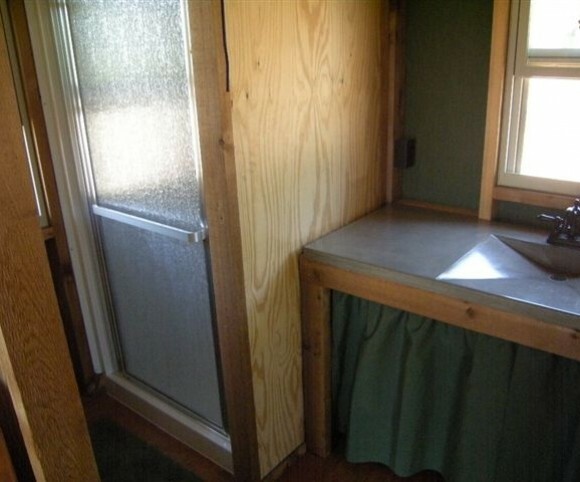 TENT is a pre-fabricated wood frame fit with a canvas skin that demounts from the piers to fit on a flat bed trailer.